illustrated guide that covers the full plug-in suite: Dfine 2.0, Viveza 2, HDR Efex Pro 2, Color Efex Pro 4 Complete Edition, Silver Efex Pro 2, and Sharpener Pro 3.0. 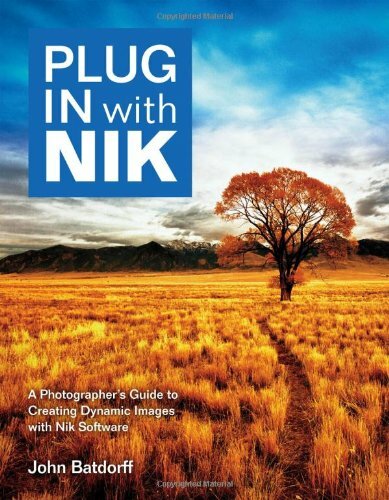 Pro photographer John Batdorff provides easy-to-follow instructions for processing and enhancing your landscapes, portraits, and streetscapes with Nik from start to finish. Nik Collection by Google offers precise and natural enhancements without complicated selections or masks. John includes the benefits of each plug-in and how to incorporate each one in your workflow, whether you use Adobe Photoshop, Lightroom, or Aperture, to create more dynamic photographs. In this guide you will learn to: recognize and reduce digital noise using Dfine; fine-tune your color images using Global and Selective adjustments in Viveza; combine existing presets; understand key adjustments for creating HDR images; and create your own presets in Silver Efex Pro, HDR Efex Pro, and Color Efex Pro.